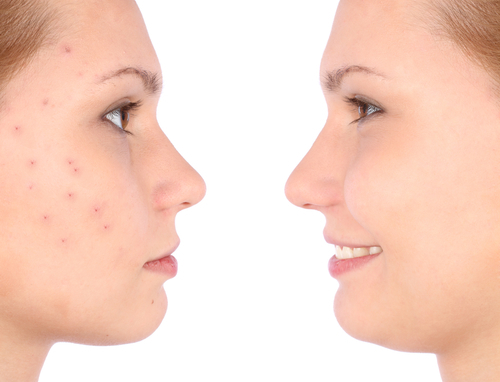 Pimples are raised red spots with a white center that develop when blocked hair follicles become inflamed or infected with bacteria. Blockages and inflammation that develop deep inside hair follicles produce cystlike lumps beneath the surface of your skin. Other pores in your skin, which are the openings of the sweat glands, aren’t usually involved in acne.